You are here: HomenextPeoplenextTilbury Residents 1940s/50s? Can you help identify some people? A photo taken at the same spot as the ‘residents of Tilbury Dwellings’ photo above. Obviously a popular spot for group photos at the time. 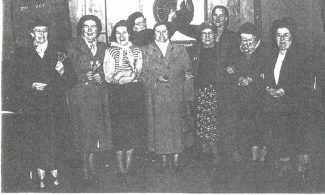 It includes (3rd from left, front row) my great grandmother Annie Salmon, who lived in Quebec Road and then Northview Avenue until 1961. Any ideas where or when the picture was taken, or who else is in it? “Funnily enough this photo seem to tie up with the photo placed by Lea Cornthwaite. The 2 ladies in rear row left to right 3 & 4 are on my photo. The one in white is Mrs. Owen, she lived in Central Ave and the middle row 3rd from left is my Nan Mrs. Luck. 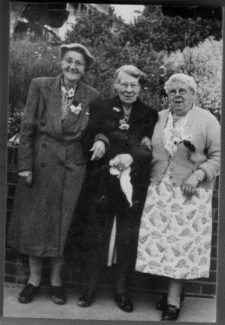 He adds that the group photo it may have been taken behind the old Carnage library in Grays, as they had a garden at the back and have seen pictures with similar surroundings. Alan I think the lady next to your Nan is Mrs LeCorney she lived in the 1st house on the right in Stephenson Ave. I have a copy of this picture too. 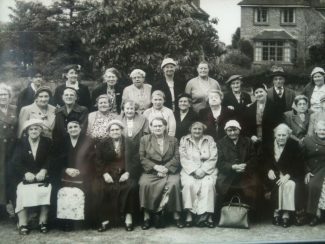 I am told that the lady 4th from the left of the front row is my nan (my mums mum). Her name was Esther Sagar and lived at 8 Stephenson Avenue until her death in January 1959. 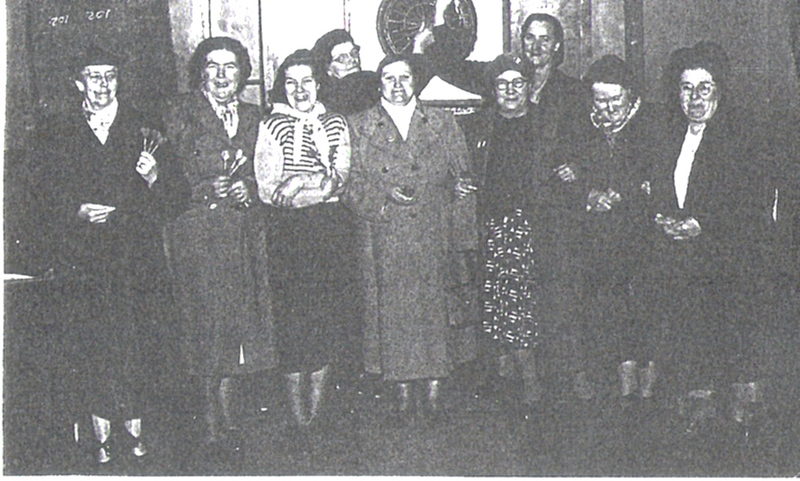 The lady in the centre of the lower picture was a great friend of my Nanna. I only knew her as Mrs Mac she lived in North View Ave (the one opposite St Chads school). My Nanna’s name was Mrs Doris Carter and she lived in Ottawa Road. They were friends all through the war and Ship Cleaners together for many years until my Nanna died in 1950. I am sorry I can’t help you with who is in the picture but thanks so much for putting it on the website. It is a popular place to have a photo done! !